Don't worry, these fingers are meat-free. And assembling them into a mouthwatering sandwich from cooking time to first bite took less than 30 minutes — perfect for the Pure Veggie in a hurry. 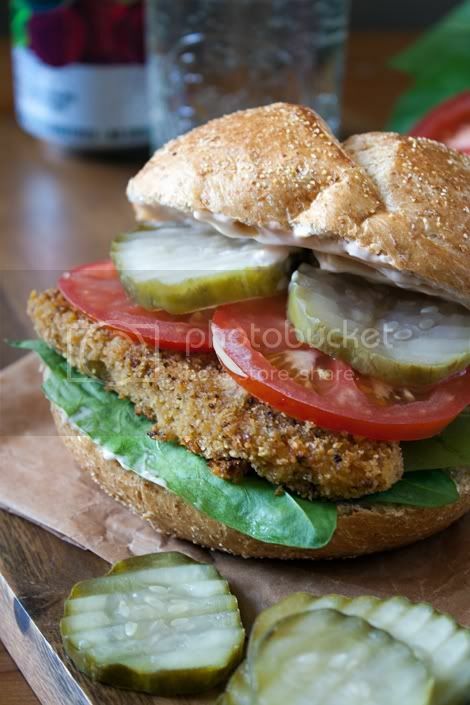 If you've got a craving for a chipotle (meatless) chicken finger sandwich, check back next week for the recipe. Have a great weekend and I'll catch up with you then!